Date: Every Wednesday after the 22nd April 2015. Every week we will work on different fun creative activities! 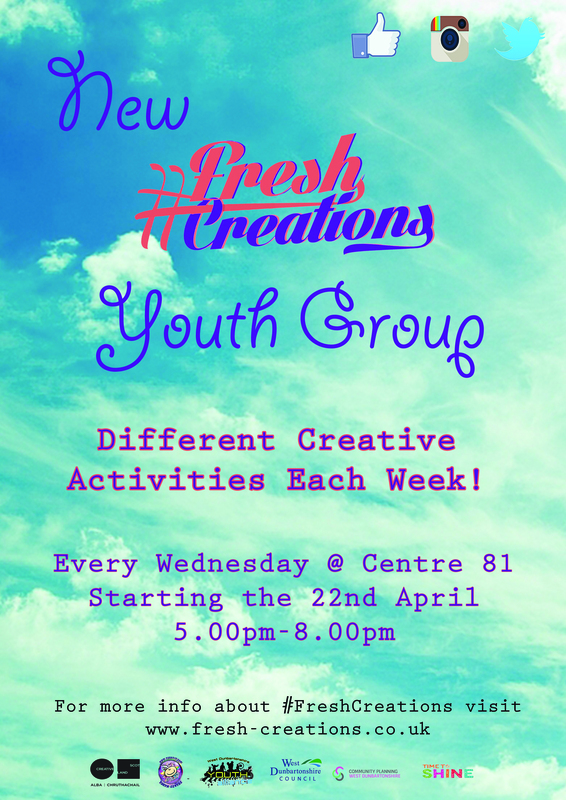 For more information, get in touch with us at info@fresh-creations.co.uk or call 0141 941 3308. ← Animations from Experimental Drawing Class!